Valentine's Day calls for something a bit special, a bit red, and a bit French. 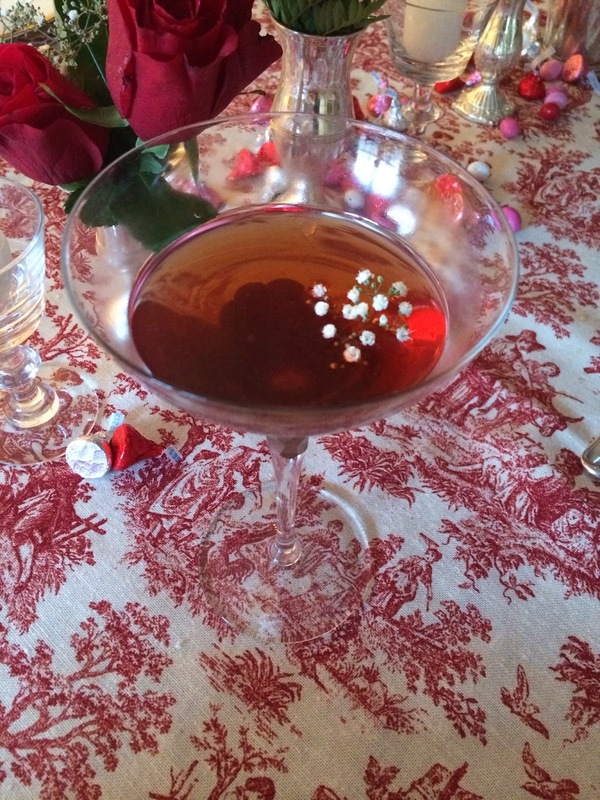 This cocktail is like a sophisticated Cosmo, with a French Kiss. If you have something exotic on your bar, like the Rhubarb Bitters I have you, can certainly add a dash. Add all ingredients to a shaker, and fill with ice. Shake it up, and strain into cocktail glasses. Garnish with a wedge of lime.